We are all very excited as the countdown has begun for the arrival of 2019! But have you made your plans for the new year’s eve? No worries if you haven’t, as Elite World Hotels has a lot to offer for this new year’s eve. Elite World Hotels has prepared programs full of surprises that will sure get you in the mood of new year celebrations for a unique beginning to 2019! Read this article to learn more about the new year’s eve programs by Elite World Hotels so that you guarantee a cheerful and delicious start to 2019 with your loved ones! The romantic couple of the music world is at Elite World Asia Hotel! Elite World Asia Hotel, the newest link to the Elite World Hotels chain, is awaiting its guests for a night full of surprises in its first new year’s eve. 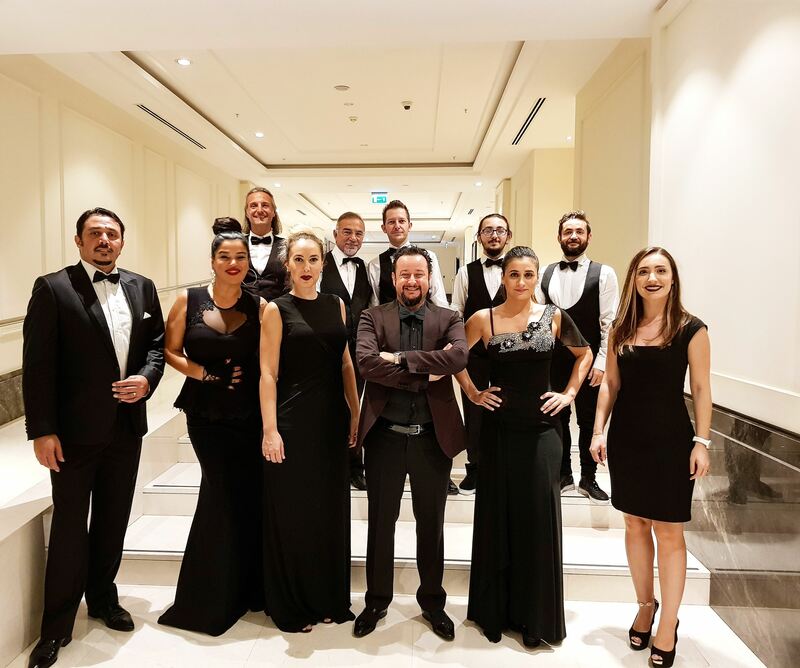 Eda and Metin Özülkü, the famous singing couple of the Turkish pop music, will sing their popular songs, as well as the nostalgic songs of all times at this night which is sure to become unforgettable for the guests. And the night won’t be limited to the enjoyable moments you will have with Eda and Metin Özülkü. A DJ performance and, of course, a belly dancing show, a must for the new year celebrations, will add to the festive-like atmosphere. Starter platter includes roast beef smoked on willow wood chips; salmon tartine on flaxseed bread; eggplant salad on tartlet; artichoke heart with pomegranate seeds; celery salad on mandarin; zucchini mutabbal with dill; stuffed vine leaves; Turkish Ezine cheese; smoked Circassian cheese; cucumber; carpaccio and cherry tomatoes. Warm starters include vol-au vent with spinach and oyster mushroom and fresh garden greens with sun dried tomato sauce and fruit syrup. Main course includes roasted and seared entrecôte marinated with smoked ocean salt and fresh spices; potato cake with blueberries; baked tomatoes; and broccoli with porcini mushroom sauce. Chestnut panna cotta with cranberry sauce. The menu also includes unlimited domestic drinks, petits fours to go with tea or coffee, as well as a tripe soup to be served after midnight. Prices for the new year’s eve ball at Elite World Asia Hotel start from 220 TL per person including the unlimited drink option. To make a booking please call 0216 458 90 19 or 0534 597 48 50, or send an e-mail to yilbasi@eliteworldhotels.com.tr. Cheer with Fedon’s songs at Elite World Europe Hotel! An unforgettable new year’s eve party is awaiting you at Elite World Europe Hotel as the hotel will play host to a gorgeous stage performance by Fedon, best known for his tavern songs. Fedon won’t be the only surprise of this new year’s eve. The night will also include a belly dancing show, a DJ performance and more. You are all invited to Elite World Europe Hotel for an exclusively delicious menu and a fun-filled new year’s eve. Prices for the new year’s eve ball at Elite World Europe Hotel start from 400 TL per person including the unlimited drink option. To get further information and make a booking please call 0212 404 05 19 or 0538 574 83 19, or send an e-mail to 2019@eliteworldhotels.com.tr. Get Ready for an Excited New Year’s Eve at Elite World Business Hotel! An enchanting music feast is awaiting you at Elite World Business Hotel in this new year’s eve! 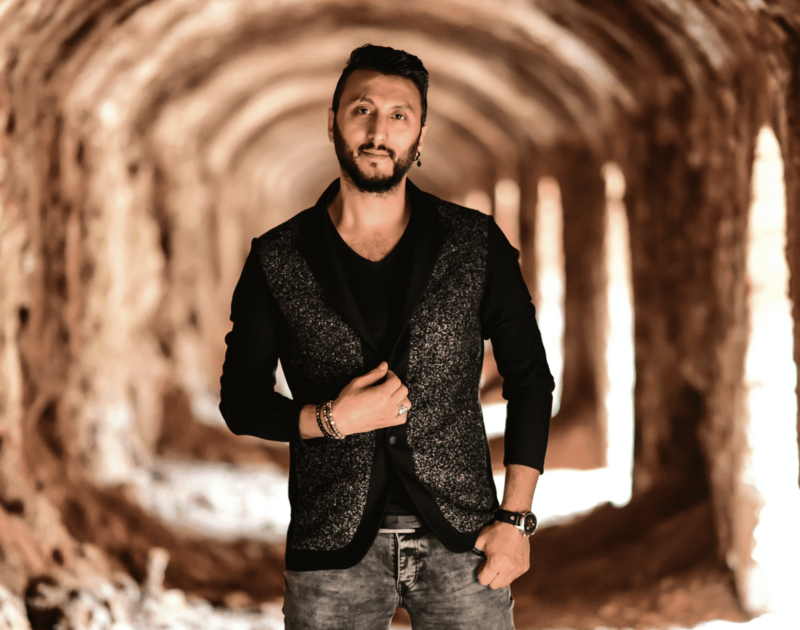 While enjoying a rich menu you will also lose track of time with a live music performance by Murat Kaynak and his Band, a DJ performance, percussion shows and draws for surprise prizes. Starter platter includes roast beef smoked on willow wood chips; creamy sea bass on flaxseed bread; wood-fire grilled eggplant salad; haydari with fresh mint; celery salad with apple; hummus with tahini; stuffed vine leaves; Turkish Ezine cheese; kashar cheese; smoked Circassian cheese; cucumber; carpaccio and cherry tomatoes. Warm starters include crepe bundle with spinach and mushroom and fresh garden greens with sun dried tomato sauce and fruit syrup. Main course includes roasted and seared entrecôte marinated with smoked ocean salt and fresh spices; potato cake with blueberries; baked tomatoes; and broccoli with cultivated mushroom sauce. Forest fruit panna cotta with cranberry sauce. Prices for the new year’s eve ball at Elite World Business Hotel start from 259 TL per person including the unlimited drink option. To get further information and make a booking please call 0212 411 46 46 or send an e-mail to newyear@eliteworldhotels.com.tr. Welcome the New Year with the Perfect Jazz Tunes! 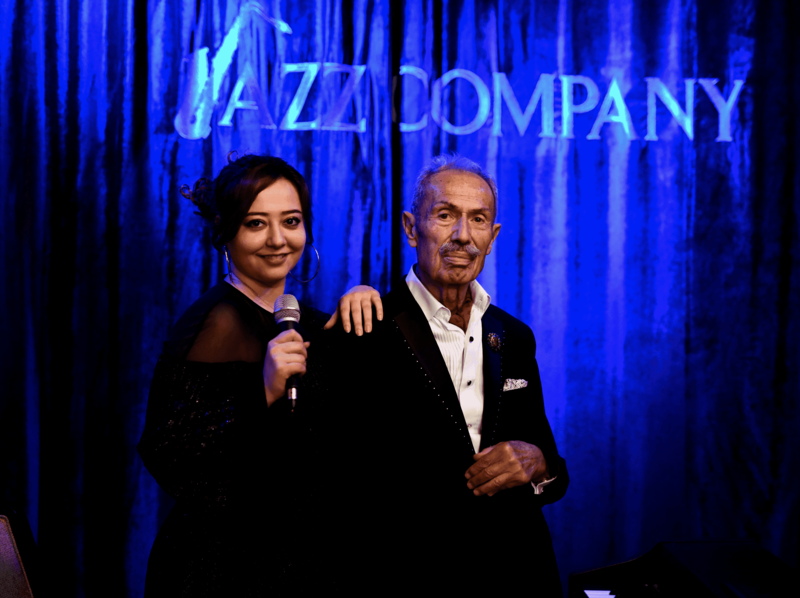 Famous jazz musician İlham Gencer and Gökçe Hilal, a new talent to accompany Gencer, will be at Jazz Company with a special repertoire for an enjoyable new year show! Jazz Company, which has long been bringing together music enthusiasts at the heart of Istanbul in Taksim, will be touching your soul this new year’s eve with exclusive performances by İlham Gencer and Gökçe Hilal. Prices for this night start from 195 TL per person. Please note that attendance is limited. To get further information for the Jazz Company new year’s eve program where there will be special gala menus with gourmet delicacies please call 0212 313 83 51 or 0212 313 83 22, or send an e-mail to jazz@eliteworldhotels.com.tr. The Music You Need for Your Ears Will Be At Elite World Van Hotel! 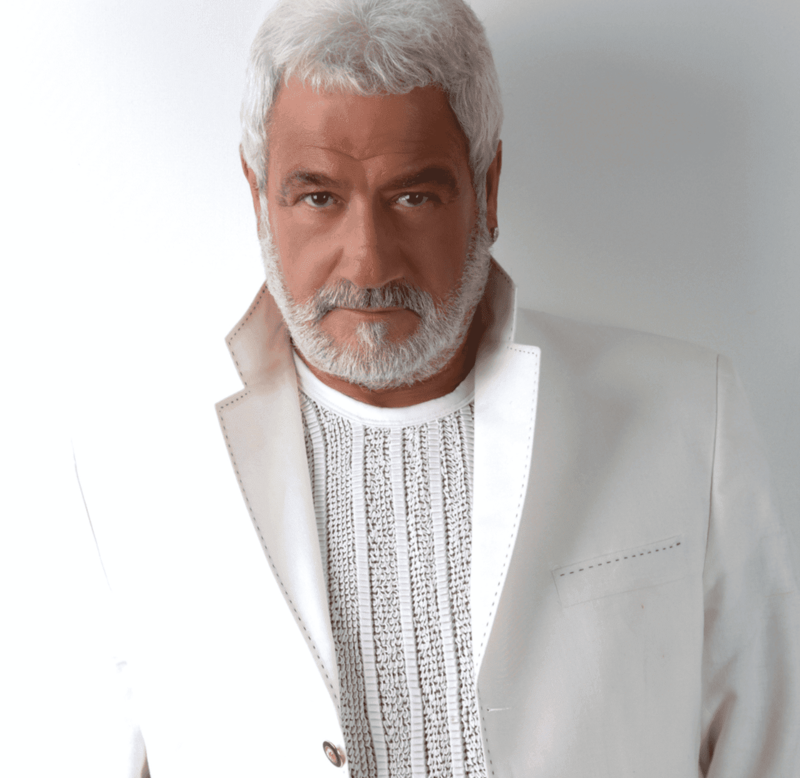 Elite World Van Hotel will play host to a music show featuring Şoreş, Gülsüm Hasar and her Band, as well as Cihan Yüksel. You are all invited to this unforgettable night that will be crowned with a delicious new year menu blending traditional flavors with a modern touch, unlimited domestic drinks, belly dancing show, and a drawing for surprise prizes! While you enjoy the music feast at Elite World Van Hotel, your children will be having their own fun at a children’s new year ball! Plus, if you wish to wake up to the first morning of 2019 at Elite World Van Hotel we suggest you to check out our stay packages with different price options. Starter platter includes crepe with spinach and mushroom; çiğ köfte (veggie steak tartare); tandoori turkey; fruit mix; chestnut parfait; and a tripe or lentil soup to be served after midnight. If you want to celebrate new year in a fun and live environment, prices per person for the new year’s eve ball at Elite World Van Hotel are 230 TL for adults and 100 TL for children. To get further information about new year’s eve bookings and stay packages at Elite World Van Hotel, please call 0432 484 11 11 or send an e-mail to salesvan@eliteworldhotels.com.tr.